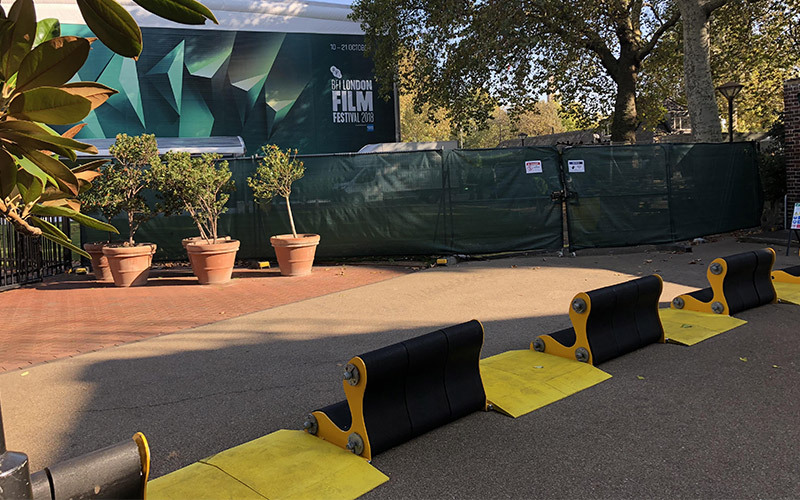 Specifically designed to provide protection for crowds of people at events from vehicle as a weapon (VAAW) attacks, the Rapid Defender is a temporary vehicle security barrier (VSB). 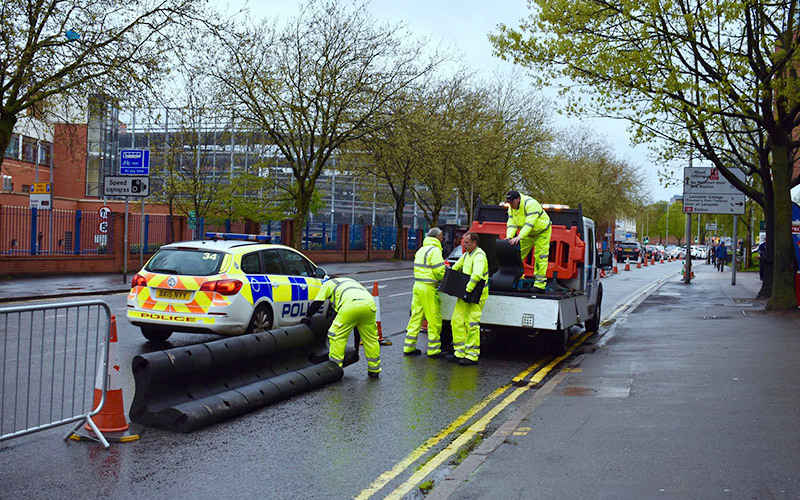 Requiring no foundations, this surface mounted system can be quickly deployed almost anywhere, from the streets surrounding stadiums to uneven festival sites, in a matter of minutes. Made up of individual robust rubber units weighing just 49kg each, connected by steel rods, the modular system can be set up quickly and easily, removed and used again and again. 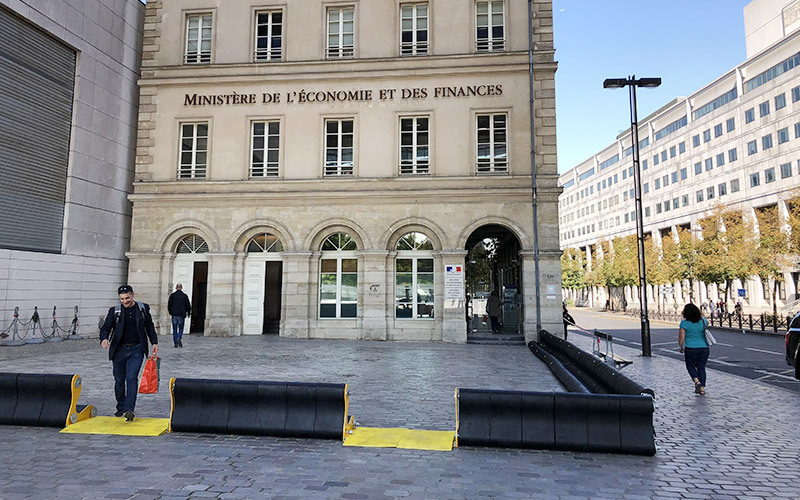 With no special tools or lifting equipment required, four men can manually install a barrier across the width of a road in less than five minutes. 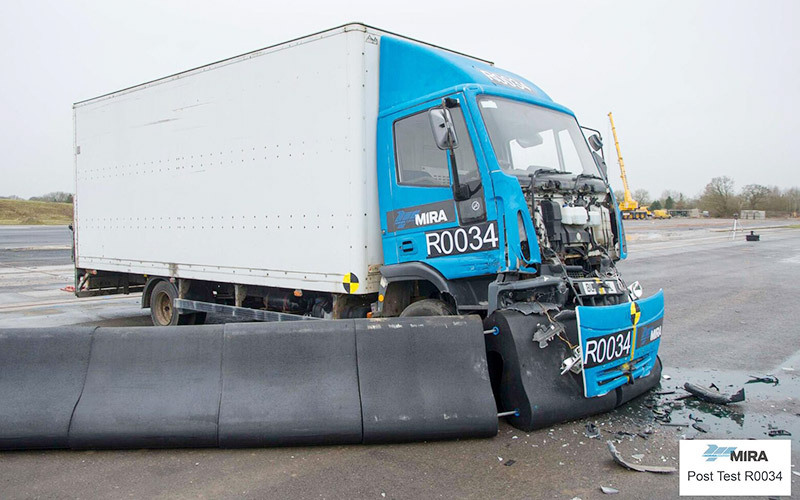 The innovative design of the Rapid Defender allows it to be integrated with other temporary or permanent hostile vehicle mitigation (HVM) systems to create a stronger physical barrier as part of a holistic HVM solution. 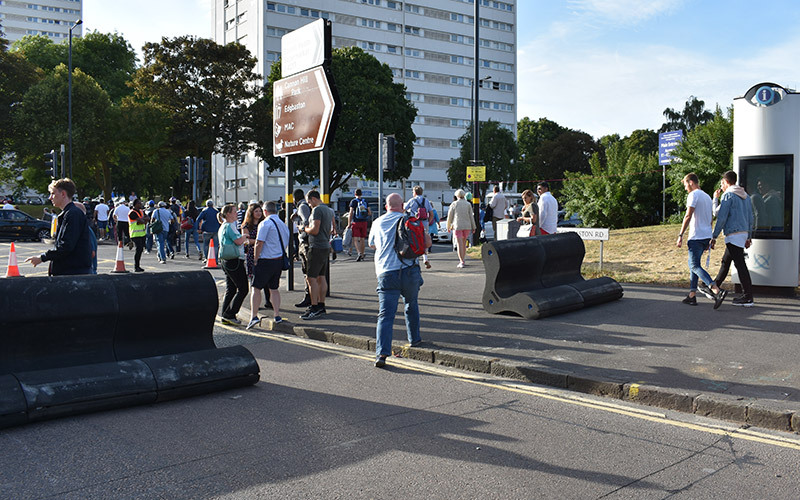 Specifically designed to protect people, buildings and infrastructure from hostile vehicle attack, the Impakt Defender is a surface mounted IWA14 rated vehicle security barrier (VSB). Manufactured from 100% recycled rubber, bonded with polyurethane for strength, the Impakt Defender’s unique shape, with its large footprint, deforms on impact to increase stopping performance. Its tough construction enables it to be installed almost anywhere, removed and used again and again. 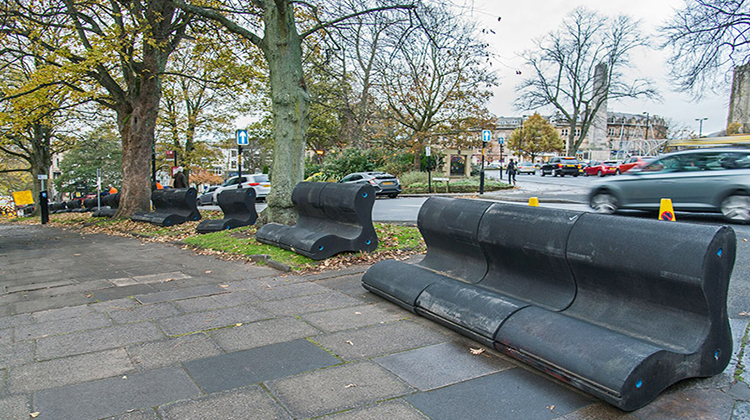 Each 430kg, 1m x 1m x 1m solid rubber unit is connected by steel securing cables, providing the flexibility to protect both entrance areas and site perimeters against hostile vehicle attack. Requiring no foundations, the surface mounted system can be rapidly deployed as a temporary or permanent security measure, unanchored or anchored. With the units and steel securing cables in position the Impakt Defender can be deployed as a freestanding hostile vehicle mitigation solution. 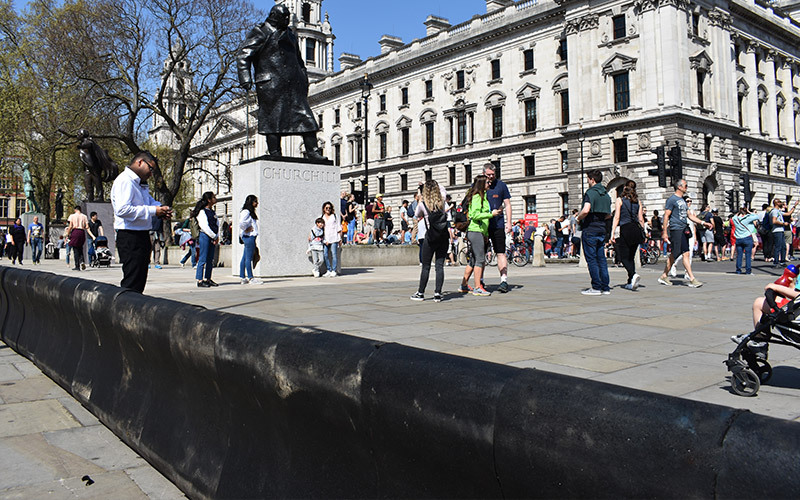 With the units and steel securing cables in position the Impakt Defender can be anchored or fixed to other security barrier solutions to create a stronger physical barrier. Rapid Defender / Impakt Defender can be rented only in Germany and Norway. Global supplier of a flexible, configurable and movable perimeter security solution.